Starring Jake Gyllenhaal, Tatiana Maslany, Miranda Richardson, Clancy Brown, and Carlos Sanz. Jeff Bauman is just an average guy who works on the deli counter in Costco. On the day of the Boston Marathon in 2013, he joins the crowds to cheer on his ex-girlfriend, Erin, in the hope of winning her back. His life is turned upside down by the bombings near the finishing line but not only does he survive his injuries, he goes on to exemplify Boston Strong. With a reputation build on indies like Joe, Prince Avalanche and Manglehorn, David Gordon Green flirted with something more mainstream in Our Brand Is Crisis (2015) and nearly got his fingers burnt. The same is unlikely to happen with Stronger. 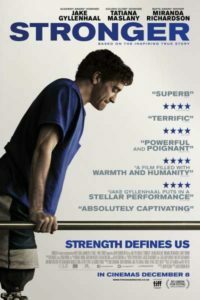 With its emotional true life story and the appeal of its main man, Jake Gyllenhaal, it can’t fail to put bums on seats. And this time the director has gone 100% mainstream. 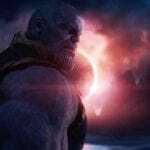 It’s based on a true story within recent memory, one that focuses on events which were both well documented by the media at the time and has already had an outing on the big screen. Peter Berg’s Patriots Day (2016) looked at the Boston Marathon bombings from the perspective of the first responders and the police in particular. By way of contrast, David Gordon Green takes the shocking event that echoed around the world and narrows it down to the personal, the intimate, the story of one man who was caught up in the events of that day. 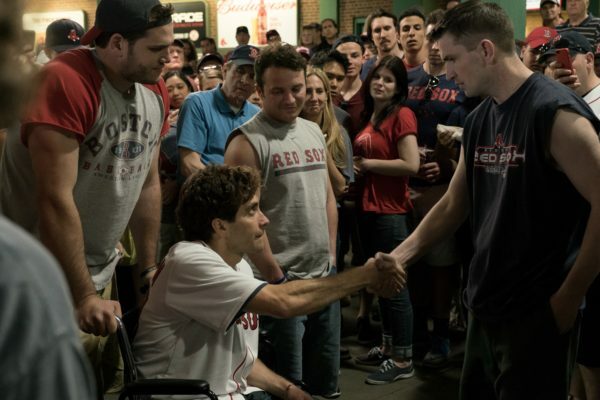 The man was Jeff Bauman (Gyllenhaal). His resilience was tested to the limit and he came to represent the spirit of the city, which was summed up by the phrase Boston Strong. Bauman is a reluctant hero, uncomfortable in front of an audience but equally unable to say “no” to the people who want to meet him and who he inspires. One of the most moving sequences comes backstage during a ball game, when Jeff listens to a total stranger’s story of personal tragedy. When you’ve gone through such physical and mental trauma, how do you cope with adulation and other people wanting to heap their agonies on your shoulders? But the great thing about Jeff is that he doesn’t consider himself special in any way. He’s a real everyman and, just a year after the bombings, returned to his job on the deli counter at Costco. The acting in Stronger is where the film really scores. Gyllenhaal is terrific as Bauman and, yes, there are visual effects but this is still an immensely physical performance. His pain as he constantly falls and learns to walk using his artificial limbs, as well as the internal agonies and conflicts that go with his injuries, is wince making. He’s well matched by Tatiana Maslany as Erin, his on-off girlfriend: she’s his support, his strength but she never loses sight of herself, as well as what’s good for him. The surprise is the casting of Miranda Richardson as his mother: this isn’t exactly her natural habitat, but it’s to her credit that it doesn’t show. In fact, when you first see her, you have to look twice to make sure it is who you think it is. Her casting is probably the only sign of Green’s indie background. For somebody who made his name in small, low-budget films, he takes an uncharacteristically conventional approach, tying everything up with a nice, neat ending. Perhaps too neat. 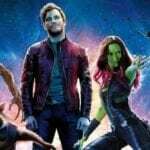 But it will raise a sniffle and Gyllenhaal certainly does more than justice to the inspirational Bauman, even though the character would probably hate the word being used about it. There’s just that lingering suspicion that something less reverential, and more challenging would have produced something even better.